What Is Health: Tuesday’s Tips - Dietary Control And Exercise – Tip 1. 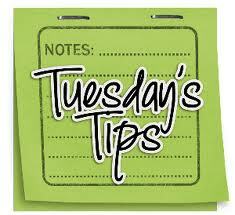 Tuesday’s Tips - Dietary Control And Exercise – Tip 1. Every week I will be sharing with you a Weight Loss Tip that I have found along my weight loss journey. So far I have lost 10 pounds in 1 month. If you would like to know how I did it, and how I intend on maintaining my weight loss, then these weight loss tips are for you. I’m not an expert, but if it helps you attain your own weight loss goals, then I’m happy to have helped (if only to serve as a reinforcement of knowledge you already possess). Most of this, I have learnt on my own or through close friends and family members as well as being on the “Shrink Team Calls”. Feel free to add your own tips to this list, too! It’s true what they say – All You Need To Do Is Watch What You Eat, And Expend More Energy Than You Consume. I use a website called My Fitnes Pal that helps me know what calories I need and how many I have used. If you want even more help, sign-up for our free newsletters.